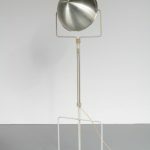 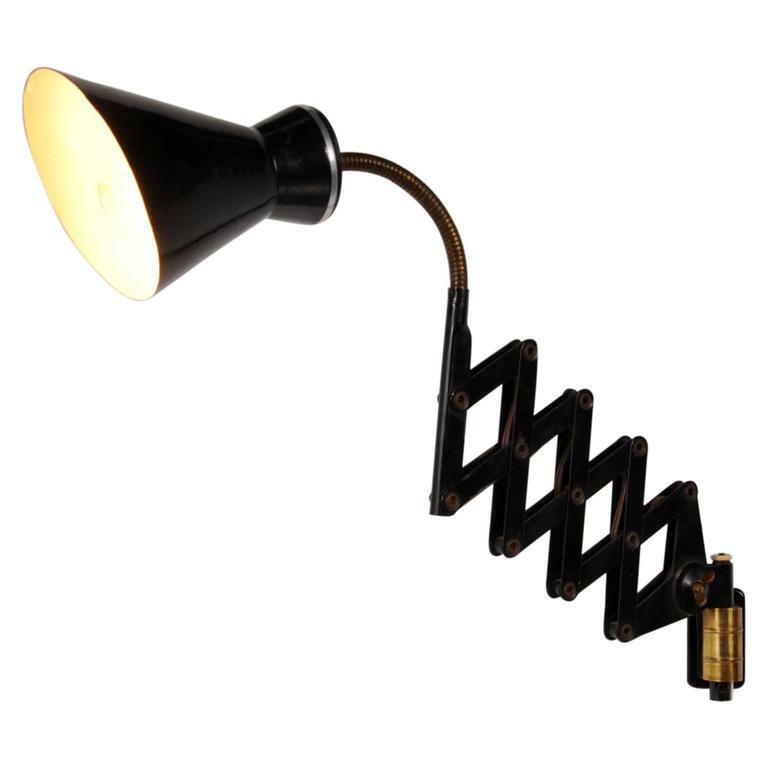 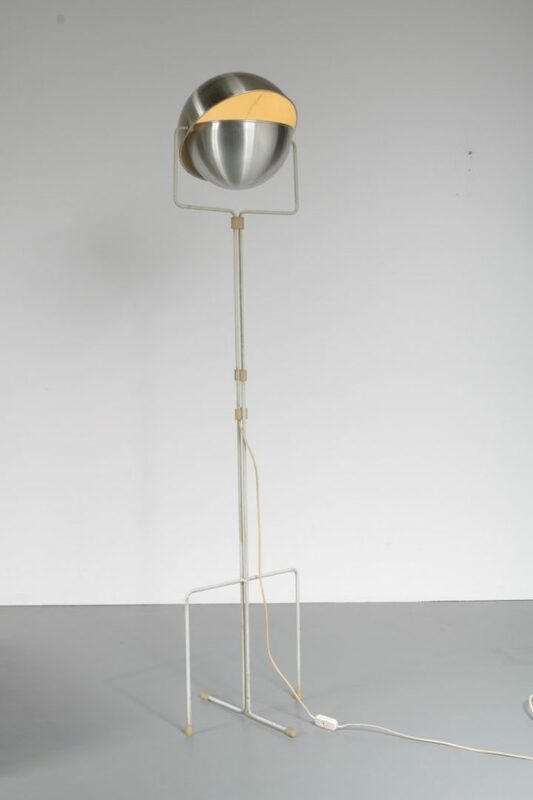 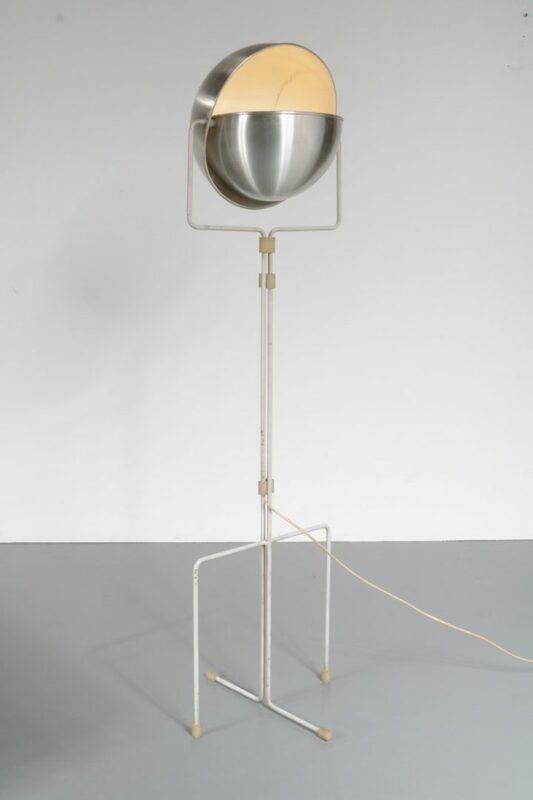 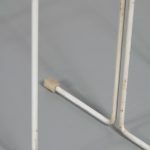 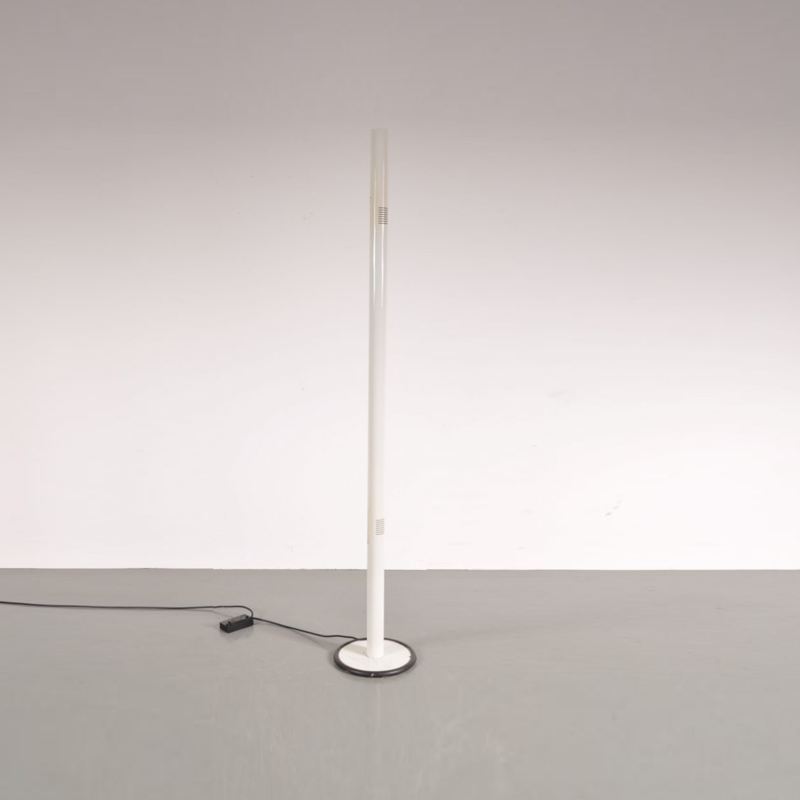 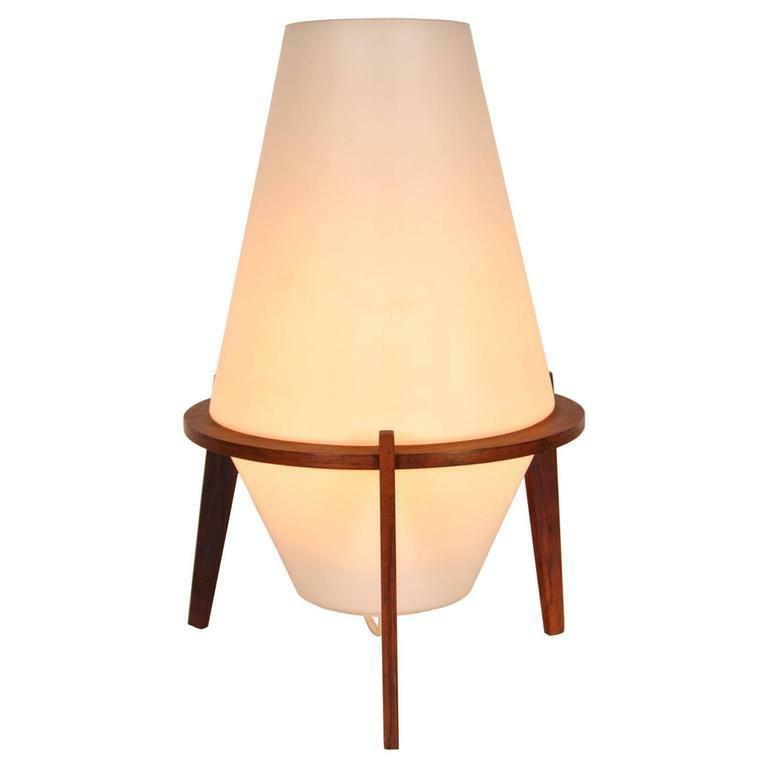 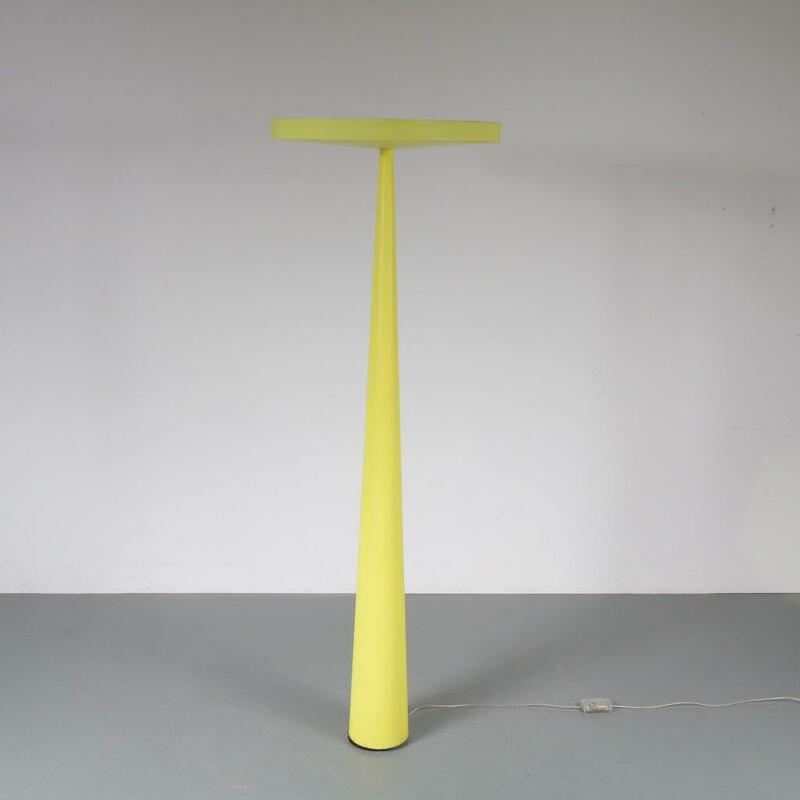 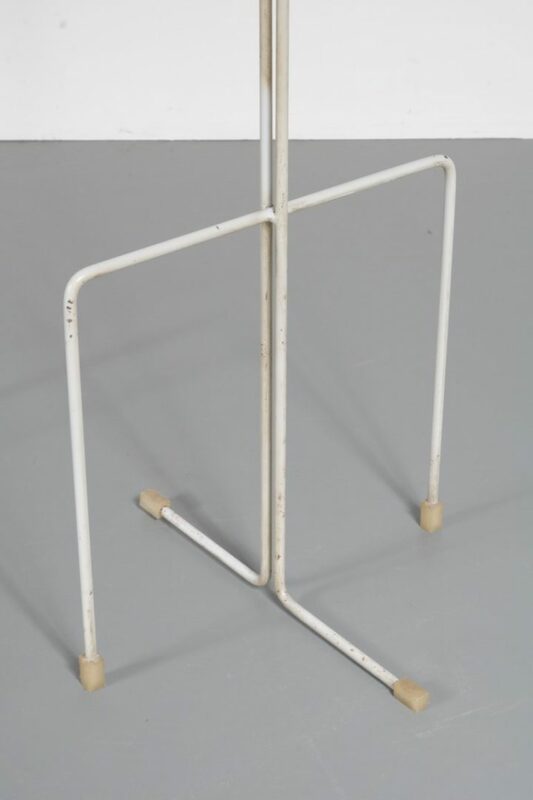 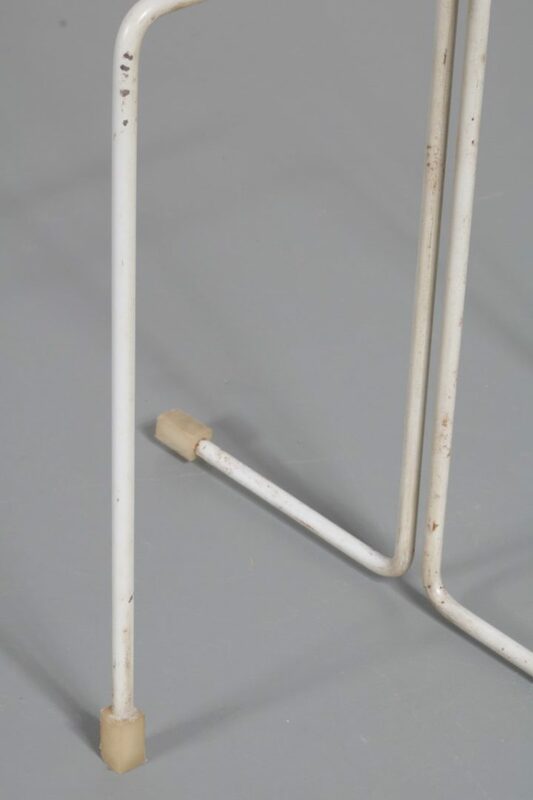 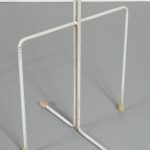 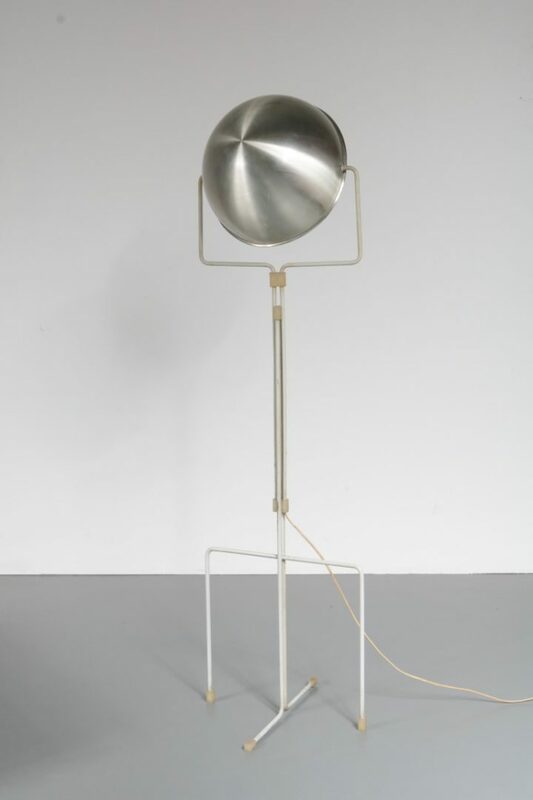 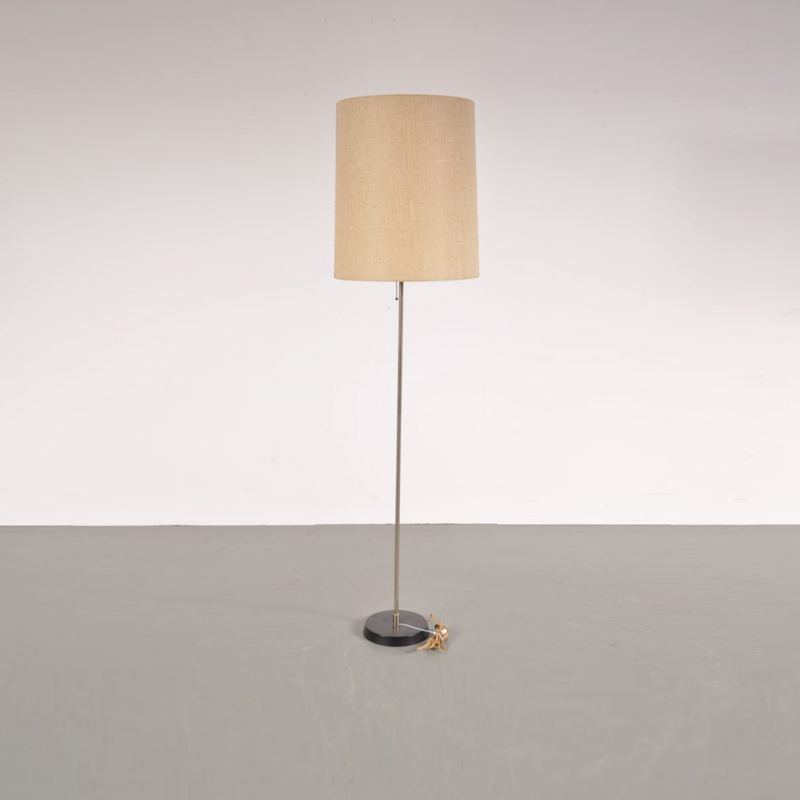 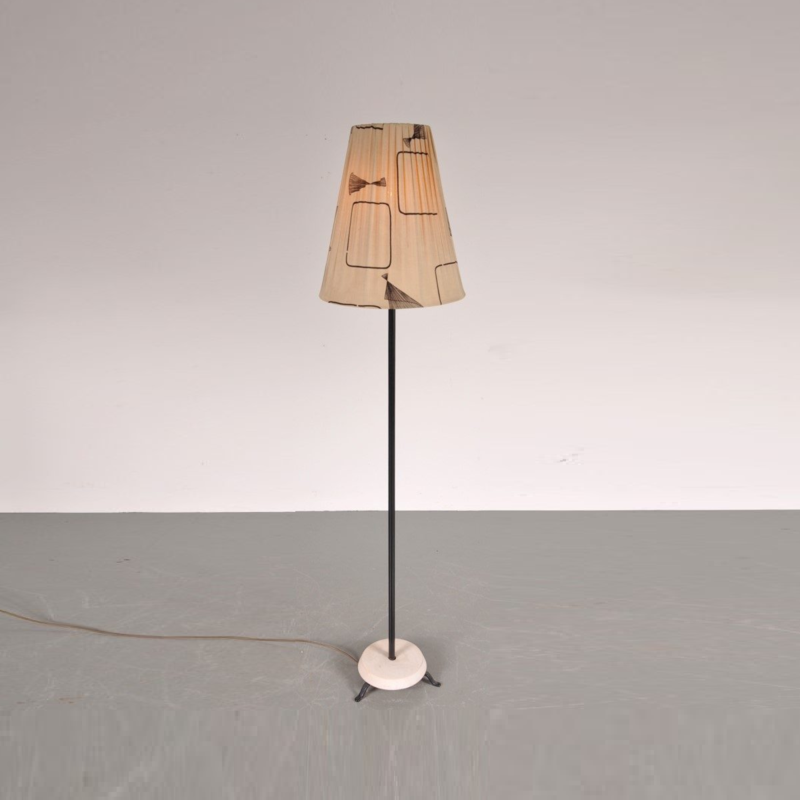 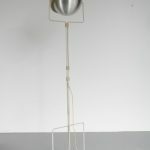 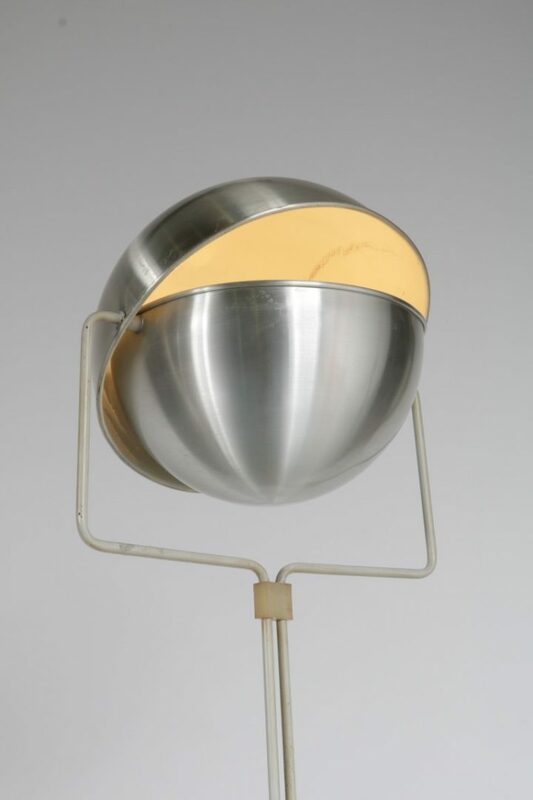 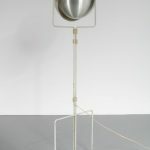 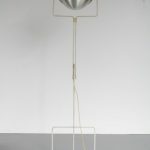 An iconic Dutch design floor lamp! 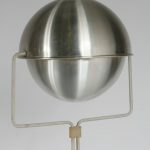 The “Eclipse” owes it’s name to the unique hood. 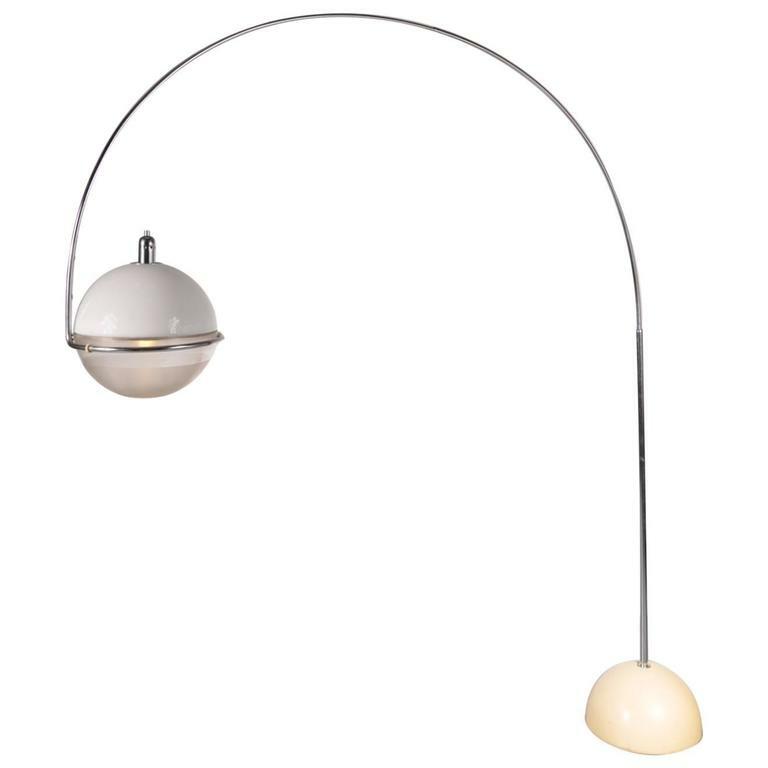 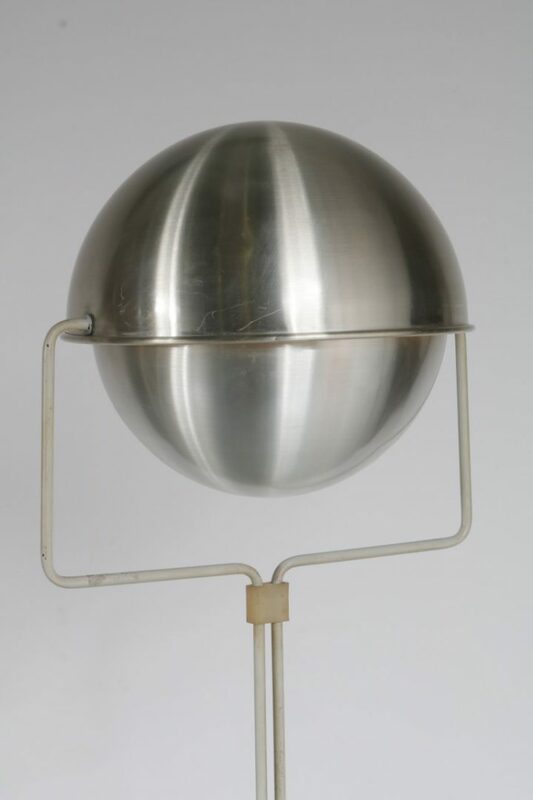 This is made of two round shapes that can move around to open and close, emiting different lights depending on the position. 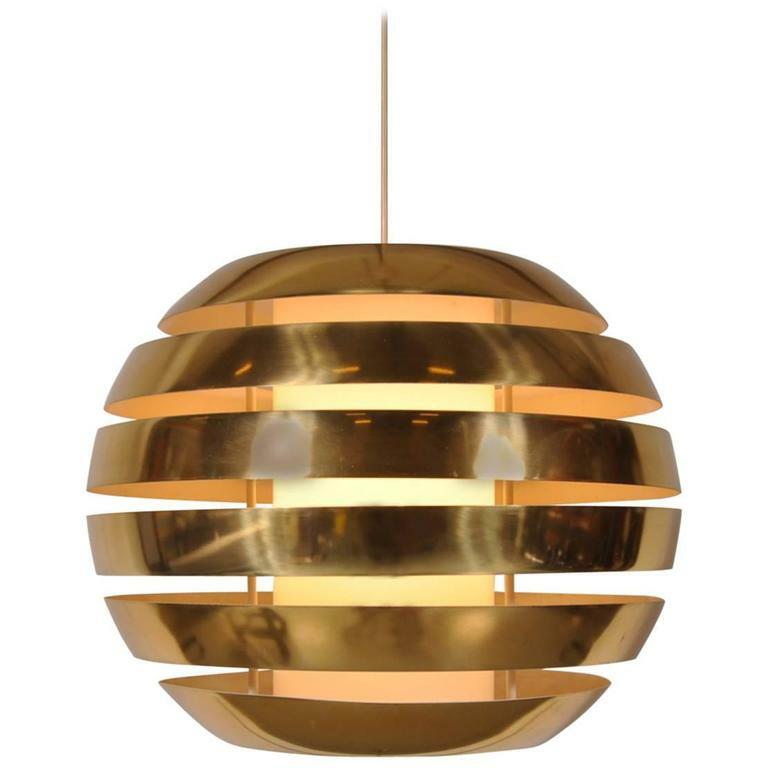 The effect this creates is somewhat like a solar eclipse! 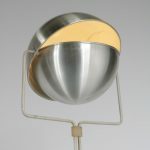 It is made of high quality grey metal with an aluminium hood that fits the minimalist design perfectly. 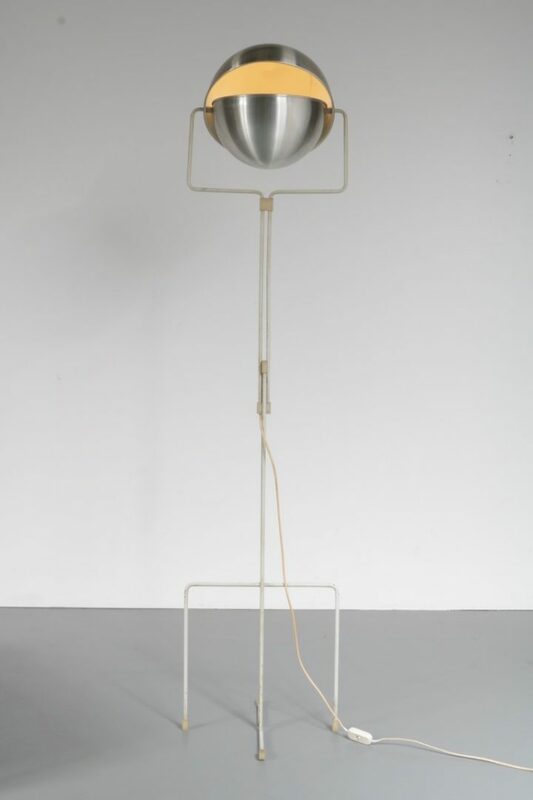 The height is easily adjustable.It remains in fairly good condition, with a small dent in the hood and preserves a wonderful vintage patina!